Call Riverside Greenhouse & Florist Today! We're a local Farmington, Maine florist delivering courteous, professional service and the highest quality products around since 1924. Choose from our variety of plants and floral designs that are sure to complement any occasion, and meet your budget and style expectations as well . 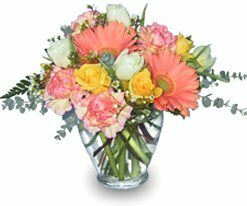 ORDER FLOWERS ONLINE 24 HOURS A DAY OR CALL US TO PLACE A DIRECT ORDER (207)-778-3566 or 1-800-564-3566. Find great gifts grown locally in our own Greenhouse! 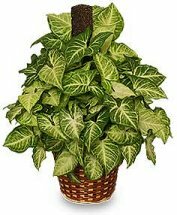 Green plants, Blooming plants, Dish gardens and European gardens add life to any room, office, interior space or outdoor area. We also offer Silk flowers and Dried flowers for custom-designed permanent arrangements and home decor. You can depend on us to help you choose flowers that beautifully convey your expressions of sympathy and serve as a lovely tribute to the deceased. For your convenience, we also offer daily delivery service to all local funeral homes and hospitals. Call or visit us today… we look forward to meeting you! Thanks for visiting our website for flowers delivered fresh from a local Farmington, ME flower shop and easy online ordering available 24/7.